It's New Year's Eve! There are three major things on my mind, and I'm willing to bet a lot of you are thinking about those same things: the year 2013, the New Year to come, and Champagne! 2013 was a great year for us. Among the many wonderful things we did was visit Epernay, France, where we took a tour of the Champagne caves at Moet & Chandon. In Epernay, there is actually a road called Avenue de Champagne, and the road is lined with Champagne houses from Moet & Chandon to Pol Roger to Perriet-Jouet. While this is the most wonderful time of the year, which requires eating tons of cookies and candies, there's always room for a little something savory and maybe a tad healthier too, right? I made this hearty soup last weekend during the snowstorm, and it was the perfect thing to warm up with and fill up on. So take a brief break from all those sweets (and all the shoveling and ice scraping) and try this festive red and green soup. I love peppermint mochas. As soon as Starbucks starts offering them (even if it's in November; yes, I'm one of those people), I start drinking them, and I don't stop until they go off the menu. I love the combination of coffee, chocolate, and peppermint. It reminds me of stirring a candy cane into hot cocoa, like I did when I was a kid. But it has more grown-up coffee flavor too. Thinking about how much I love these flavors together, I decided to put a spin on my favorite winter coffee drink and turn it into a cupcake. Making homemade Christmas gifts can be a lot of fun, but before you head down that road, there's something you should know: Ever since I first shared my homemade caramels, I have not been allowed to show up for Christmas without them (the only exception was last year because we moved into our house the weekend before Christmas and I didn't have a kitchen or any of my supplies, and even then, I almost wasn't let off the hook). So tread lightly into this territory. Your homemade gifts might be so well received that people will look for them year after year. Of course, that's not necessarily a bad thing if you enjoy making and giving homemade gifts as I do. I recently got invited to dine at the chef's counter at BOKX 109 in Newton, Mass. Every time I turn around, I hear about another restaurant in Newton and my list of Newton dining spots to check out is forever growing. BOKX 109 has been on that list for a long time, and I was happy to finally make it over there. The restaurant, which is located inside Hotel Indigo, features imaginative spins on steakhouse staples and gets creative with New American cuisine (modern takes on traditional recipes). I am back with another awesome bread using the Harvest Grains Blend from King Arthur Flour. I just might be addicted to this mix. Luckily, that's not a bad thing since it's chock-full of seeds and grains. 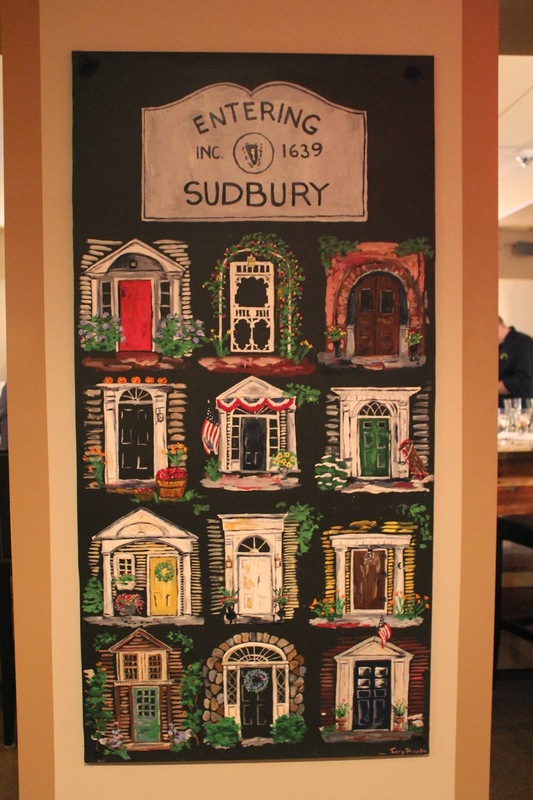 29 Sudbury, a restaurant in Sudbury, Mass., from Greg Hill (of WAAF) and Evan Deluty (chef/owner of Stella), opened back in August, and I finally had a chance to check it out last month. The idea behind the restaurant is to bring the Boston dining experience to the suburbs. Who doesn't want great food without the hassle of driving into the city? The menu features modern American cuisine with Italian influences. And many ingredients for the dishes are sourced in and around Sudbury. Housed in a historical building that was stripped down to its studs and renovated, the restaurant has two floors and showcases reclaimed wood and the work of local artists. It has a casual yet upscale feel to it. We celebrated Thanksgiving day with Jeff's family at his parents' house, and I made sage-roasted butternut squash and a cheesecake topped with cranberry curd and a bittersweet chocolate drizzle. Many of you know Jen, who blogs over at Beantown Baker. For those who don't, Jen used to live in Boston and we would often have baking dates together. She's a great friend and someone who's always thinking of others. Just over a week ago, Jen's mom's house in Washington, Illinois, was leveled by a tornado. The pictures of devastation that she has posted are just heartbreaking. Jen's brother was even in the house when the tornado came through, but luckily he is OK. Jen and her family spent days picking through the rubble, but they still have a long way to go toward rebuilding, as do others in the area who were affected. To learn about how you can help Jen's family and others, please visit Jen's blog, where she has provided details on how to show your support. As we head into Thanksgiving and all start focusing on the things we are thankful for, I hope you will keep Jen and her family in your thoughts. Hi guys. I just thought I'd share some stuff with you that I am really loving these days -- from wine to snacks to helpful kitchen gadgets to a great way to support your favorite charity! This pumpkin granola with Greek yogurt (always Fage) and a drizzle of honey. My friend recently had a baby shower and wanted to send guests home with pumpkin granola in Mason jars. 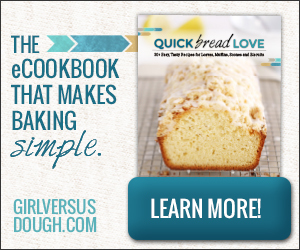 I found this recipe for her and we whipped up a few batches together. After going through my Mason jar of it, I had to make another whole batch just for me. And speaking of pumpkin, even though I'm not a huge fan of pumpkin spice lattes (I'm already in peppermint mocha mode), I am loving the Pumpkin Spice Coffee Mate in my morning coffee. It's not overly spiced and it doesn't have any weird bits in it (which is what put me off of coffee shop versions). I typically use Silk French Vanilla Creamer, and it's nice to go back and forth between the two. I am also a huge fan of Don Miguel Gascon Malbec and Colosal Red Blend, which I've found at Whole Foods and Blanchard's. Both wines are full bodied and suit my tastes with bold berry flavors. The bottles also have really pretty purple and silver labels. Chocolate Chip Cookie Dough LUNA Protein bars. Obsessed. One of my friends introduced me to these protein bars, and now I am hooked. I know they have calcium and vitamin D and all that good stuff, but they definitely remind me of candy bars. The chocolate chip cookie dough ones satisfy my sweet tooth for a mid-afternoon snack. And have you tried the new KIND Healthy Grains Bars? I found them at Wegman's randomly and bought three different boxes. They're made with grains like millet, amaranth, and quinoa. Maple Pumpkin Seeds with Sea Salt is my current favorite flavor. Peanut Butter Dark Chocolate is pretty awesome too. These have a completely different texture from the regular KIND bars, which I also love. 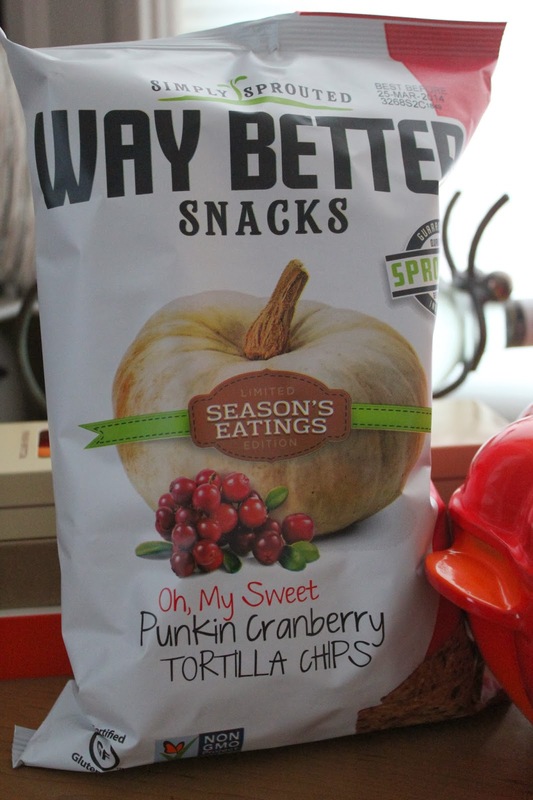 My other new favorite snack: Way Better Snacks' Oh, My Sweet Punkin' Cranberry Tortilla Chips, especially when paired with Alouette Cheesecake Spreadable Cheese. These chips have sprouted seeds, grains, and beans; Vitamin A; fiber; and antioxidants and they're non-GMO. The ingredient list is short and the ingredients are recognizable. They're crunchy, salty, and sweet. So they're tasty and good for me… maybe not when I'm dipping them in cheesecake dip, but you know. I recently got some fun new kitchen tools to play around with: the ThermoWorks ChefAlarm and Thermapen. I'm definitely planning to devote a longer post to these once I've used them a lot more, but so far I've relied on the ChefAlarm, a probe-style cooking alarm, to help me regulate the temperature of frying oil. It has high- and low-temperature alarms, and I can set them so I know when my oil falls out of the desired temperature range and I can adjust the heat accordingly. I've also used it to test the water temperature when I'm adding warm water to yeast to make bread. And the Thermapen came in very handy last weekend when I made a practice turkey for Thanksgiving. It's an instant-read thermometer, so it makes checking the temperature of roasting meat super-easy and fast. Eat Your Books. I've been using Eat Your Books for about two years now, and if you have a ton of cookbooks, I highly recommend checking it out. I can search for, say, butternut squash, and it will tell me all the recipes using butternut squash that exist in all my cookbooks and food magazines. It's really encouraged me to seek out new recipes in books I already own and to flip back through old magazines that I've got piled up around the house. Do you know that Williams-Sonoma has a blog? It's called Taste, and it's amazing. It's full of delicious-looking recipes, helpful cooking and entertaining advice, and informative interviews and features (most recently they highlighted Blackberry Farm, where we hope to stop when we visit our friends in Tennessee next spring). This is a non-food-related one, but I happened upon Rewined Candles at West Elm and immediately loved them. I've yet to buy one for myself, but we've bought them for friends -- they make great housewarming gifts. It's probably my love of wine that helped them catch my eye. The candles are made from recycled wine bottles! And they come in scents like Merlot, Pinot Noir, Riesling, and Champagne. My sister recently joined a volunteer search and rescue group called Bay Area Mountain Rescue Unit (BAMRU). The team, which is based in the San Francisco bay area, is ready to search for a lost or injured person at any time, in any weather conditions, in any terrain. BAMRU is a Mountain Rescue Association team, which means they train extensively to be able to search effectively in the backcountry, handle snow and ice conditions, and perform technical rescue in steep terrain (meaning using ropes to lower/raise people when cliffs are involved). The group is funded by membership dues and donations. You can learn more about BAMRU at bamru.org. I hope you'll consider using AmazonSmile to support the awesome volunteer work my sister is doing! Way Better Snacks sent me a sampler of their chips to try, Apothic sent me a couple of bottles of Apothic Dark to sample, ThermoWorks sent me a ChefAlarm and Thermapen to play around with in the kitchen, and I have a free subscription to Eat Your Books. As always, all opinions are my own. Please note there are Amazon Affiliate links in this post. If you click through the links and make purchases, I'll earn a few cents and so will my sister's organization. I am obsessed with Iggy's cranberry-pecan rolls. I'm sure I've admitted this in the past. I usually have to buy one whenever I see one. Something about the toasty pecans and chewy tart-sweet cranberries just hits the spot. When I saw Stephanie's pumpkin-cranberry twists, I wasn't at all thinking about my beloved cranberry-pecan rolls. I just thought they'd be a perfect addition to Thanksgiving dinner. So I made the rolls. Did you know that this is the first year that Butterball, which started its Turkey Talk-Line back in 1981, will have a male Turkey Talk-Line spokesperson? I never realized that there weren't men manning the talk-line before now. My dad has always made the turkey for our Thanksgiving dinner, so it just didn't occur to me that all the turkey guidance was coming from women. I call my dad whenever I have meat-related cooking questions. (Maybe I'm in a unique situation because my dad went to CIA and worked as a chef for years…) On Thanksgiving, he makes the turkey and the best turkey gravy in the world to go with it. (Seriously, I can eat the gravy like it's soup.) No one makes mashed potatoes like my mom. And I try to take over the desserts and some of the sides with help from my siblings. One of the best things Jeff and I ate on our honeymoon in Italy was a simple soup called tortellini en brodo. We had this soup while dining outdoors at a small restaurant in Bologna, the city where tortellini is said to have been invented. I ordered the soup as my appetizer and ended up having to share the whole bowl with Jeff. I still think about that soup to this day, and just over a year later, I finally re-created it in my own kitchen. I won't say my version was as intensely flavorful as the one we had, but it definitely satisfied that year-long craving. So I cheated a little with this pasta and pancetta soup: I used store-bought chicken stock. I've been having fun making my own stock but it is pretty time-consuming, and with skipping the homemade stock, this soup sounded easy enough to make on a weeknight. So I cheated a little more on my weekend soup-making goal and went ahead and made this on a weeknight. I'm doing pretty well with my soup-making goal so far. I haven't made a soup every weekend, but I am slowly and steadily crossing soups off my list. This chicken tortilla soup is based on the Silky Tortilla Soup in the May 2013 issue of Food & Wine. Unlike most chicken tortilla soups, which have vibrant tomato broths, this one looked a little subdued, and after reading through the recipe, I realized it's because the soup is pureed with butter. It sounded decadent for a soup, and I had to make it. While I love maple syrup year-round, something about fall usually has me craving it. And while I like pancakes or waffles slathered with butter and doused with maple syrup, I really love incorporating maple syrup in savory dishes. 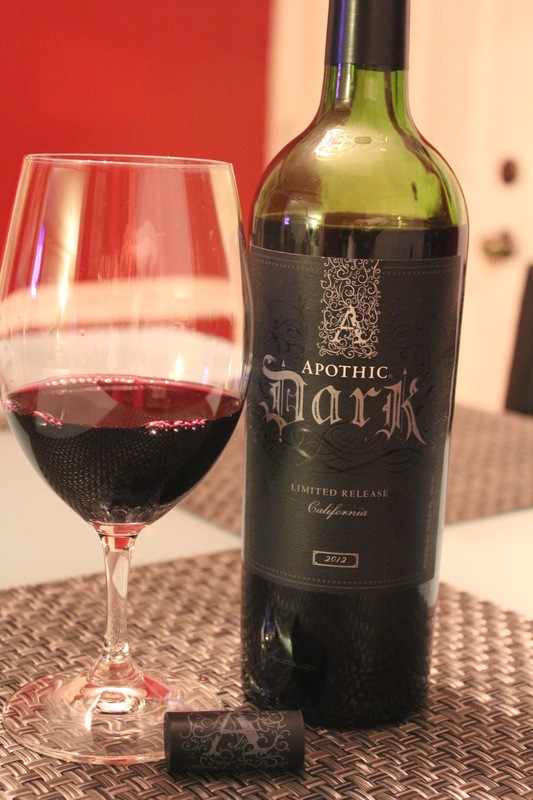 I think it pairs especially well with squash and other fall vegetables. I've made ginger-maple baked delicata squash in the past and also some maple-glazed baby vegetables (Brussels sprouts, beets, and turnips). Thinking about these two dishes inspired me to make these maple-orange roasted fall vegetables. It's Sunday, and I'm back with another soup review. This time I went with a more complicated recipe. Ever since the day I got Ad Hoc at Home and first flipped through the pages, looking at all the photos and recipes, I have had the chicken soup with dumplings in my head. Chicken soup with dumplings is an ultimate comfort food, and I'm sure you're all picturing a rustic, hearty dish with globs of fluffy Bisquick dumplings floating atop a thick soup. Not so with this version. It's hearty and it's filling, but it's also incredibly classy and elegant. It's the sort of chicken soup with dumplings that you can serve to a tough critic: Picture that scene in Ratatouille when Remy serves the movie's namesake dish to Anton Ego. It will conjure up feelings of comfort and home, but it will also look the part on a dining room table set with fine china. It will fill you up and stick to your ribs, but it won't do so in an in-your-face kind of way. Sometimes I set these crazy goals for myself -- like I'm going to make soup and bake bread every weekend all fall and winter (or I'm going to work out every day or I'm going to come up with a schedule for cleaning the house and stick to it...). As much as I'd like this to be a reality, it's just unrealistic. I'm not even home every weekend. So I downgraded my goal a little to making soup and/or baking bread any weekend that I am actually around all fall and winter long. I still think it might be a tough goal to meet, but I love soup and fresh bread (especially when it's nice and chilly outside), so if I can keep up with it, it will certainly have its rewards. I started this little blog six years ago. Six! Can you believe it? I really can't. It sounds like such a long time. Throughout the past six years, so much has changed. I was single, in grad school, living in a rented apartment, and working as an editor at a technology and marketing research company when I randomly decided to try this whole blogging thing. Now I'm married, have a house and a little yard, and work as a copy editor at a food magazine and do freelance food writing. I like to think my blog has grown and changed with me. There have been ups and downs over the years with how much attention I've been able to pay to this blog and how much I've been able to write, but I'm glad I've kept it going because it has been incredibly rewarding. I've had amazing networking opportunities, I've had awesome job opportunities, I've gotten to review some incredible restaurants and meet the chefs behind them, I've met some of my best friends, and I've gotten to connect with so many of you. I've also challenged myself to try new recipes and new techniques. I've continued to try new restaurants, both near and far. I've got all of these amazing posts that I can go back to and read to remember our honeymoon in Italy, our experience at a restaurant down the street, the first garden I planted, or a beautiful cake I made. Sometimes I think about quitting. Those of you who blog know what a commitment it is (especially if you work full time on top of blogging). I think about how my photos aren't always the best or maybe no one cares about what I made for dinner on a particular night (even though I think it's the most delicious thing ever!). And I think about the layout of my blog and how I wish I could do more with it. (I intended to reveal a big blog redesign around now, but they are SO expensive. And when I think about all the work we want to do on our house, I can't justify the expense. But I get it, a redesign is a lot of work. I just wish I could trade baked goods for one. Baked goods are a lot of work too.) But when I think about stopping, I also think about what good has come to me from blogging and how it keeps me cooking, baking, and writing all the time and I keep going. And I hope that one day I'll have more time to work on my photography skills. So for now I'm going to keep it going, but you may hear from me a little less frequently from time to time because I'm also trying to find some balance in my life (as it is you've probably noticed I'm only posting about two times a week these days). I really need to make myself get out and exercise more. As much as baking and cooking help relieve stress for me, so does exercise and I really feel myself needing a mix of both these days. I like running and yoga. I just need the time and motivation to get back into them. And I really want to read some books. I can't remember the last time I did -- maybe on a plane ride. I used to read every night. (Got any recommendations?) I also like going out to eat or cooking something and just enjoying it rather than whipping out my camera all the time, hopping on the counter to get the right angle for a photo, or setting up a light box when it's too dark for natural light to do any good. I'll still be here. I'll still share things that I think are amazing with you. And I'll still try to read and comment on your blogs -- that's a big part of blogging. Building community, supporting each other... and I love it, but it does take time. I'll try to keep up with all of it, but I'll be doing some other things too. I'm going to end this by saying, thank you. Thank you for following along for six years (or as long as you've been here), for your support, your comments, your advice, and your friendship. I hope to keep this thing going -- even if it's changing in some ways. I had to taste some chicken enchiladas at work a couple of weeks ago (yes, had to -- such a tough job), and ever since then I'd been craving more enchiladas. A comforting dish of corn tortillas stuffed with a meaty filling, smothered in sauce, and covered with gooey cheese -- what's not to crave? When a package full of Tortilla Land's corn and flour tortillas showed up at my door, it was like enchiladas were destined to happen. We must have come home with 30 pounds of apples after apple picking. That's my rough estimate, because after I made four apple pies (two double-crust and two streusel-topped), two apple cinnamon loaves, apple crisp (with maple dulce de leche instead of caramel), and applesauce, all of which required a total of about 15 pounds of apples, I still hadn't made a dent in the supply. I decided to make apple cider doughnuts, but I switched from my regular recipe and used one that didn't require any apples, so that didn't help diminish the supply but still made for a nice fall treat. Then I came across this amazing brown butter apple crisp skillet muffin bread and I made it right away, using up a couple more apples. Another went into a tuna melt. And I've still got a drawerful left! Jeff and I went to Germany this past May for our friends' wedding. We tacked on a few days in France beforehand, starting our trip in Paris. After three days of touring and eating there, we took a high-speed train to Reims. There we rented a car and drove to Epernay for a tour of Moet & Chandon. And after that we headed to Germany. It was nearly 8 p.m. by the time we got to the hotel in Frankenthal, and we hadn't eaten in hours, so our friends pointed us in the direction of a brewhouse (brauhaus) and we headed straight there to grab some dinner. A couple of weeks ago I asked my Facebook friends for recommendations for apple orchards within 2 hours of Boston... and they came through. I had no idea there were so many orchards around! Here are the suggestions I got: Applecrest Farm Orchards, Berlin Orchards, Carlson Orchards, Drew Farm, Honey Pot Hill Orchards, Russell Orchards, Shelburne Farm, Smolak Farms, Tougas Family Farm, and Westward Orchards (plus a couple of my old favorites in Connecticut -- Lyman Orchards and Rogers Orchards -- and a place in New Hampshire that's a bit more of a trek -- Alyson's Orchard). Fall is finally officially here. While some people have been scarfing down pumpkin treats since the day after Labor Day (not that there's anything wrong with that), I've been doing my best to hold off. Until now. Now, I'm perfectly content making every pumpkin dessert, main course, side, and salad I can find. And while I come up with some new things to make and share with you this year, here are some pumpkin dishes and desserts that have graced Delicious Dishings in the past. Have you heard of Cookies for Kids' Cancer? It was founded by Gretchen and Larry Witt, two OXO employees who were inspired by their 2-year-old son's battle with cancer. They learned that more than 25% of kids diagnosed with cancer do not survive due to a lack of effective therapies stemming from a lack of funding. Back in December of 2007, they held a giant bake sale and raised $400,000. Inspired by Gretchen and Larry, throughout the years, OXO employees have joined the fight against childhood cancer by baking cookies and hosting bake sales, and OXO has matched the proceeds. This year OXO will donate up to $100,000 in support of pediatric cancer. I absolutely love Stonewall Kitchen. Whenever I'm in an area with one of their stores (especially the York, Maine one), I make a point to walk in, wander around, sample everything in sight, see what's new, and usually purchase a few things to bring home. They recently contacted me to see if I wanted to try a couple of their new dessert sauces. No hesitation here. Restaurant Week. I often struggle with deciding between avoiding it altogether and giving it a chance. Some restaurants do it right; some don't. I've had both experiences over the years. I've always thought of Restaurant Week as an opportunity to try out a restaurant that I would love to visit at a lower price point. I figure if a restaurant can impress me during Restaurant Week, then it's worth going back to and splurging on the full price menu. If a restaurant can't be bothered to put its best foot forward during Restaurant Week, then I can't trust it enough to go back. Luckily, this year I was absolutely blown away. This is one of those dishes that I feel silly giving you a recipe for because I make it all the time in different iterations. It changes based on what pasta shape I'm in the mood for; what vegetables I have on hand and whether I want to roast, grill, or sauté them; whether I want to go meatless or throw in chicken sausage or Italian sausage; what I want to flavor it with (vinegar, herbs, or lemon juice); and whether I want to throw cheese on top and what kind. It's simple. It's pasta and vegetables and sometimes sausage and cheese. I make it without a recipe, throwing in what I want, tasting and adjusting seasonings as I go. Hey, guys. Do you see these tomatoes? I grew them! I'm pretty impressed that I've been able to keep the plants alive and get some gorgeous little tomatoes. I planted all plum tomatoes, but they've been coming out different shapes and sizes. My initial plan was to grate them and turn them into sauce, but I really didn't have enough of them to make very much sauce, so I used them in a salad instead.